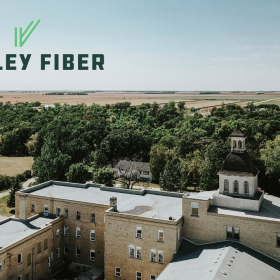 Providence is excited to announce an agreement with Valley Fiber Ltd to install fiber optic Internet connectivity to the Providence campus in summer 2019. It’s new, it’s innovative and it’s exciting. 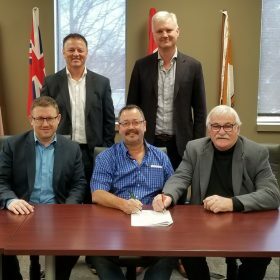 Valley Fiber submission to “Connect to innovate” approved! Valley Fiber’s plan to bring the fastest Internet on the planet to Winkler is breaking ground. 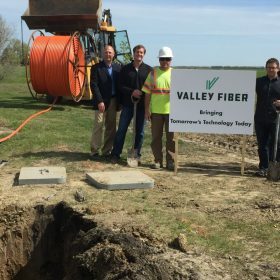 It is “…the start of the next generation of economic development for the community,” Valley Fiber CEO Hank Wall explains. As a proof of concept, the Rosebrook development north of the city will be first in line for 1,000 Mbps underground fiber optic Internet. Valley Fiber’s Central Office is expected to be finished by July, before expanding service to Winkler residents north of Highway 14 in August. 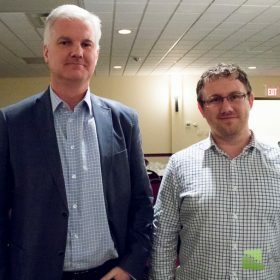 The plan to transform Winkler into the Silicon Valley of Southern Manitoba is receiving national attention. 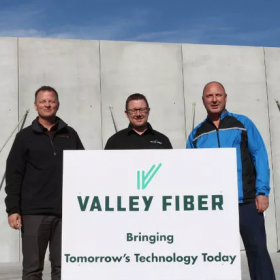 Valley Fiber, the new locally owned company developed out of Valley Internet Service Provider, has set their sights on hooking up every building and residence within city limits to the fastest internet connection in the country. If successful, the average household could receive internet speeds of 1,000 Mbps. The average in Winkler is closer to five. 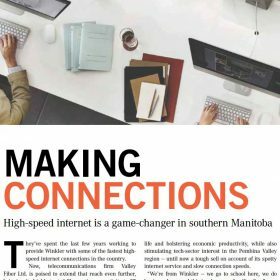 A local company hopes to bring some of the fastest Internet speeds in North America to every business and home in Winkler, transforming the city into a tech powerhouse. “It’s a game changer,” Winkler Mayor Martin Harder says. 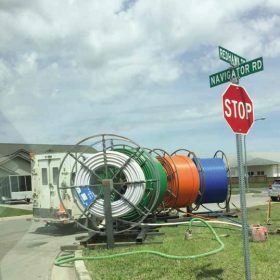 Valley Fiber aims to begin installing high-speed fiber-optic lines throughout the city this summer. 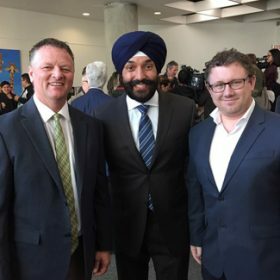 “[With] what we’ve done so far, and the partners we have in place and the technology we’re about to debut, we will very likely be the fastest ISP (Internet Service Provider) in Canada,” Valley Fiber CEO Hank Wall says.